Are you ready for another fun sketch card? 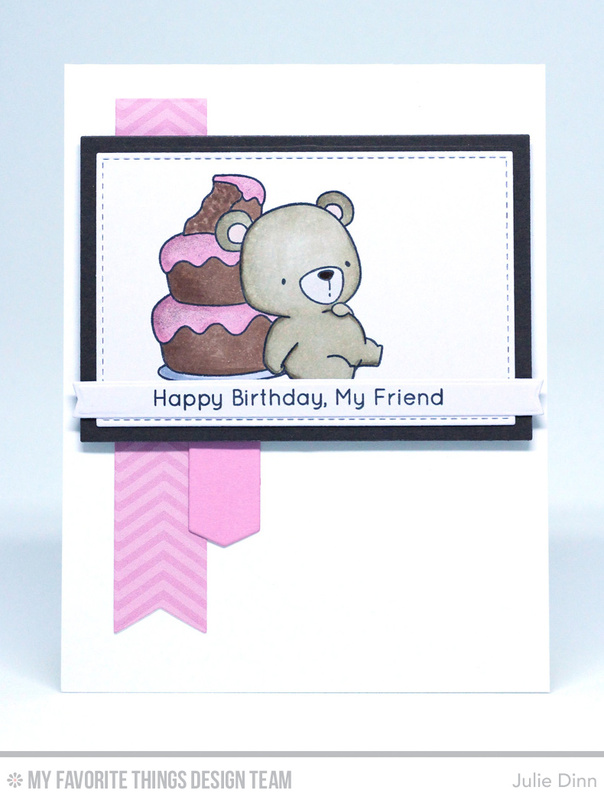 This one features the adorable Beary Special Birthday stamp set. These little bears always bring a smile to my face. I stamped the sweet bear on a piece of X-press It card stock and I coloured him with Copics. I added a touch of sparkle to the pink icing. Be sure to stop by the MFT Challenge Blog to see what the rest of the team and all of our fabulous customers created with this sketch. The little bear is darling.